The main contractor on the Atlantic Sunrise and Mariner East 2 gas pipelines that run through Lancaster County has declared bankruptcy. Ohio-based Welded Construction LP was sued in Oklahoma by Atlantic Sunrise owner Williams Partners. Williams alleges Welded overcharged the company and had accounting failures and other contract breaches. Williams has withheld $23 million from the company. The nearly 300-mile, $3 billion Atlantic Sunrise natural gas project — which goes through 37 miles of Lancaster County — began moving gas on October 6th. Sunoco, owner of the 300-mile Mariner East 2 natural gas liquids pipeline, terminated its contract with Welded, alleging the company failed to comply with environmental requirements. 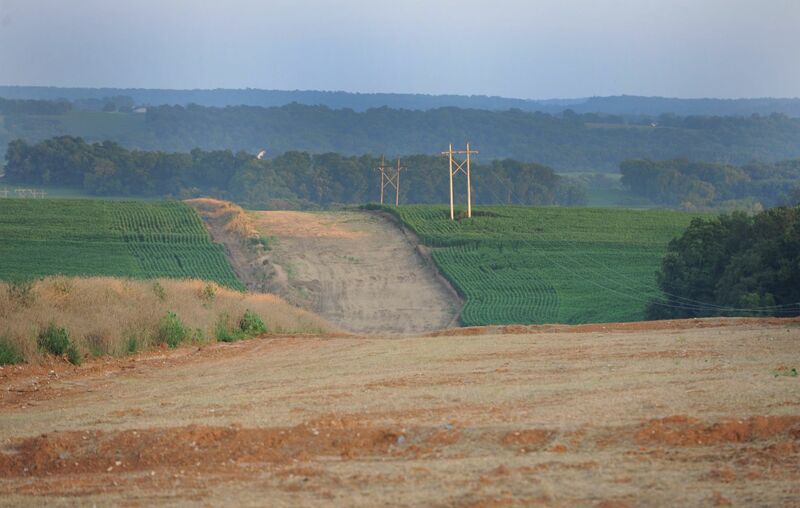 The pipeline, which goes through 8 miles of northeastern Lancaster County, has been beset with spills and fines that have delayed the project. After the legal actions by the two pipeline builders, Welded filed for Chapter 11 bankruptcy. Williams spokesman Christopher Stockton said the company’s legal action against Welded on the Atlantic Sunrise has been strictly a billing dispute and that the company’s departure does not affect final restoration work ongoing in Lancaster County. Stockton said cleanup work, which includes restoring rights of way to original contours, is about 80 percent complete in Lancaster County. Restoration work, which includes final grading and topsoil replacement, is about 70 percent complete. County residents over the weekend wondered about new plastic orange fencing being placed at road crossings along the pipeline. That is necessary so that Williams can retain permits for a rocky entrance to rights of way in case properties have to be entered with equipment for final restoration next spring, Stockton said. In the weeks ahead, Stockton said, residents may notice sections of pipeline being excavated. That is to validate the pipe’s protective coating applied by an electrical current. “This is a normal post-in-service process and typically takes place a couple months after the pipeline has been placed into service,” he said.